Special Frontier Force Reviews Hump Airlift Operations of 1942-1945. 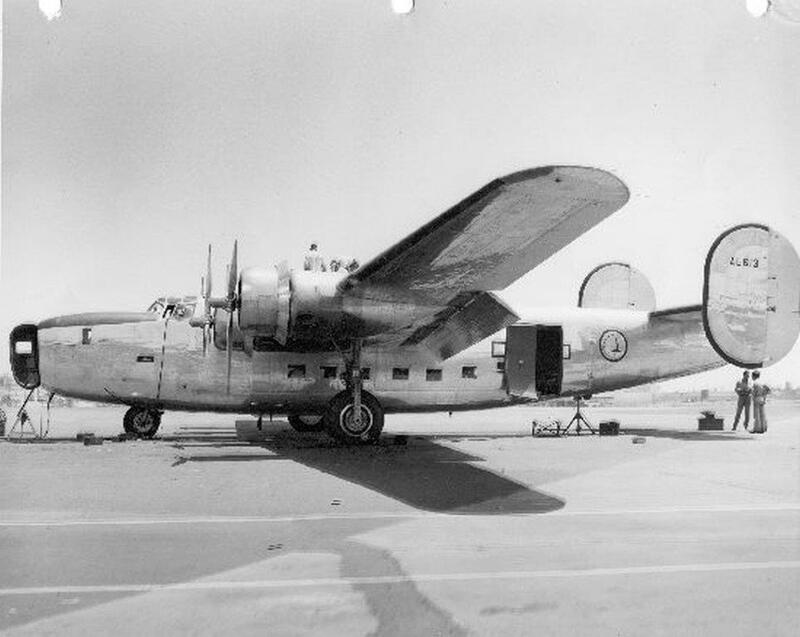 This US Transport Plane C-87 Liberator Express may have been used for a different operational purpose during Hump Airlift Operations of 1942-45. Special Frontier Force shares interest in the discovery of wreckage of a Hump Transport Plane that crashed in Tibet 71 years ago. In a previous post on this subject, I have shared the maps of Hump Flight routes and majority of crashes occurred either in Burma or Southwest China, and not in Tibet. CHENGDU, China, Aug. 13, 2015 /PRNewswire/ — Wreckage of an air freighter that was navigating over the Hump, the name given by Allied World War II pilots to the eastern part of the Himalayas due to the difficult challenge the mountain range posed to the pilots, when it crashed into a glacier 70 years ago and where its debris have since remained, was moved from Bomi County, Tibet, to Chengdu, Sichuan province on August 11. The valuable historical relics which are an important part of the story of Sino-US cooperation during WWII will be sent to China’s largest private museum, Jianchuan Museum. 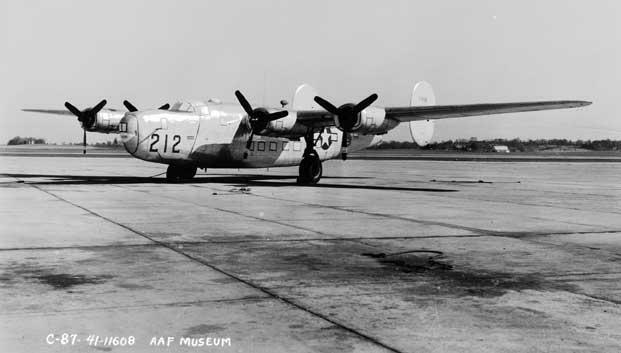 The remains belong to the United States army’s Consolidated C-87 Liberator Express, serial 41-24688, which crashed in the winter of 1943. The C-87 plane and the remains of five U.S. pilots were discovered in the area, 4,100 meters above sea level, by local hunter Luo Song in September 1993. China and the U.S. later confirmed that the remains belonged to an airplane which had crashed at that time. The two countries held a transfer of remains ceremony at which then U.S. President Bill Clinton paid final respects to the deceased. However, the majority of the remains of the plane were left on the glacier. Jianchuan Museum security director Choenyi Choedak took part in the search. He told reporters that the search team found many remains including three pairs of army boots, including a pair of thigh-high boots, two pairs of hunting boots and one pair of low boots. “Those boots are the same ones that I saw in the 1990s,” Luo Song, an inhabitant of Zhongbei Village, Yigong, who guided the search team to the glacier and one of five local people who first discovered the crashed remains in 1990, said. Beset by the limitations in terms of transport, the search team could only move about 50 pieces of the valuable wreckage, including a 4.5-meter-long and 2-meter-wide wing with an engraved white five-pointed star, as well as the dashboard, the engine and cabin parts. A reporter described seeing words and acronyms, among them, “Chicago,” “USA,” “FBE-18” and “PAT” on some parts of what was collected. Yang Jianchao, head of the search team and deputy director of Jianchuan Museum, said that it was especially difficult to climb onto the glacier as there are no roads or bridges. The members of the search team had to build makeshift roads and bridges while climbing and then carried the remains on their backs and descended the mountain with the help of 41 Tibetan porters. The route over the Hump was established during the World War II and served as an “aerial lifeline” to transport strategic supplies from Allied positions further west into China. It is the longest-running, hardest and most costly airborne route in the history of wartime aviation. 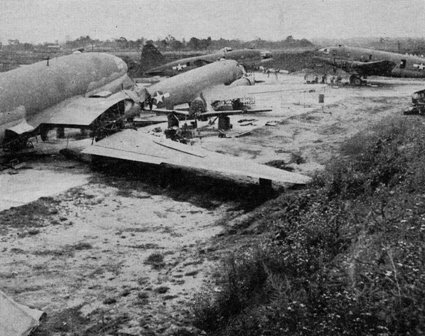 The Hump pilots transported about 850,000 tons of strategic supplies and roughly 1,500 American planes crashed along the route in southwest China. “The route can be clearly seen from the light reflected by the wreckage of our companions’ crashed planes on a clear day and we call the valley with the scattered wreckage of airplanes ‘Aluminum Valley’, a name as cold as the metal,” citing The Time’s descriptions of the Hump during World War II. Yang, the museum deputy director, explained that during the war, thousands of aircraft flying the Hump crashed, but few of them have ever been found. It is the first time that such a considerable collection of remains is being brought together in a museum. The search was initially planned six years ago. In 2009, Jianchuan Museum curator Fan Jianquan, learned from his comrade-in-arms that the wreckage of a U.S. transport airplane along the WWII Hump route remained in the depopulated zone in Nyingchi Prefecture in Tibet. He immediately developed a strong desire to find and bring in what he knew had to be a behemoth of a plane to Chengdu. One of the halls in the museum, the Flying Squad Hall, houses many U.S. army relics from the World War II period, in commemoration of the aid provided by the U.S. Air Force to China during the war. “I felt all the hard work had been more than worthwhile when I saw the wreckage,” said Hu Zhiyang, a volunteer who was nearly hit by a rock that had fallen off the side of the mountain during the climb. Despite the elaborate planning, the actual search proved far more difficult than expected. Another team leader Jiang Fan said that he felt he could vividly imagine the ordeal of the pilots when he first came upon the wreckage. “These pilots were the very the best flyers of that era. It is heart rendering to think that they travelled so far from their homelands to fight for the world peace,” Jiang said. Search team member Ni Jian said that he felt that it was a worthy search, although the expedition was exhausting and he suffered badly from altitude sickness. Kuailu Investment, where Ni works, invested over 300 million yuan (approx. US$50 million) in making a film to be named The Bombing, depicting the horror that can be inflicted by military aggression by showing the ruthless bombing of Chongqing by the Japanese army during the Sino-Japanese war and the history of Chinese and American air forces joining together in the bloody battle. He said, “We will share the spiritual wealth of this search journey with the movie crew, encouraging all to remember the history and making this anti-war movie even richer in content.” According to sources, the 3D movie, made possible as a result of a Sino-US partnership, is already 70 per cent finished, and is expected to be completed this October and be released next February. The remains will go on display at Jianchuan Museum and be opened to the public on or about August 15. In addition, Xinhua News Agency chief editor Chen Xiaobo and a renowned exhibition curator, will host the exhibition where large sections of the plane will be on display, entitled “Broken wings – searching for C-87”. Copyright © 2015 PR Newswire Association LLC. All Rights Reserved. Special Frontier Force reviews Hump Airlift Operations of 1942-1945. 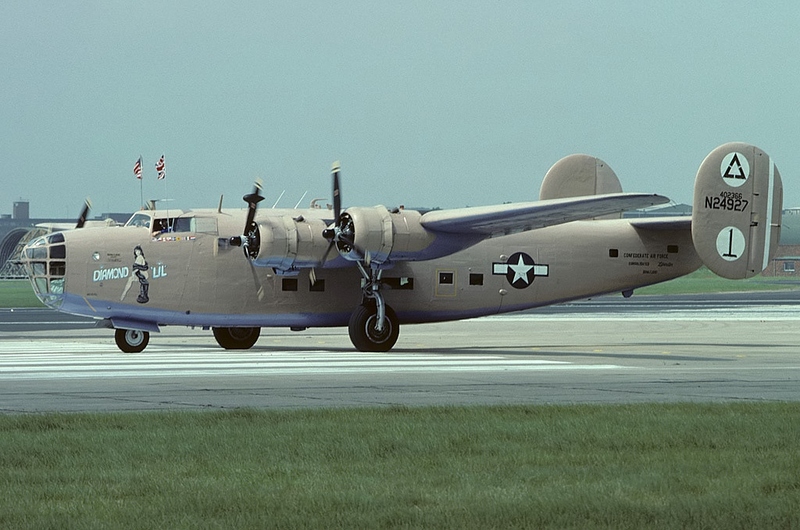 Consolidated C-87 Liberator Express Transport aircraft may have performed other operational duties during World War II while they flew over Tibet. 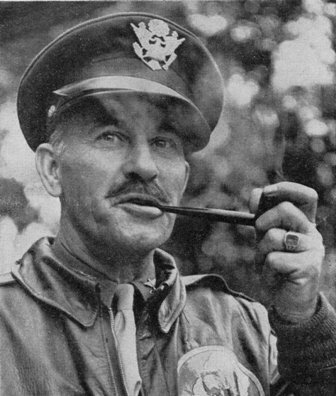 Special Frontier Force Reviews Hump Airlift Operation – China-Burma-India Theater-World War II – Brigadier General Tom Hardin, Commander, Hump Fliers. Special Frontier Force Reviews Hump Airlift Operation – China-Burma-India Theater, World War II. 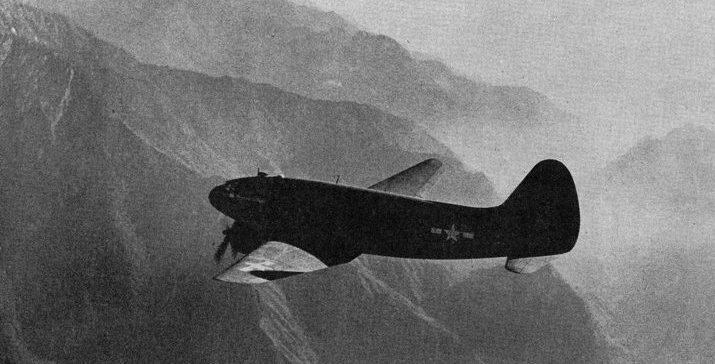 C-46 Transport Plane flying east of Salween River. “HUMP” refers to Mountains that separate Salween and Mekong Rivers. Special Frontier Force Reviews Hump Airlift Operation, China-Burma-India Theater, World War II. 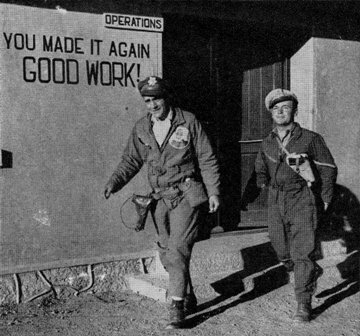 Hump Fliers Captain “Bamboo” Joe Barube and Lieutenant Ernest Lajoie returning from China Operations Office. Special Frontier Force Reviews Hump Airlift Operation, China-Burma-India Theater, World War II. 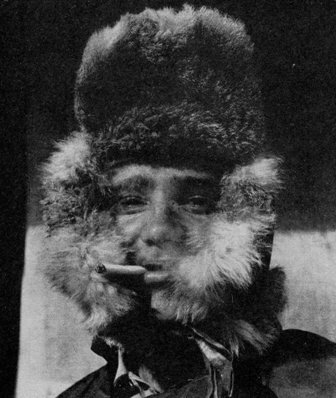 Hump Flier Assistant Engineer John Huffman, a bail out survivor wearing Tibetan clothes. Special Frontier Force Reviews Hump Airlift Operation, China-Burma-India Theater World War II. Hump Flight Maintenance Field in India. Special Frontier Force Reviews Hump Airlift Operation, China-Burma-India Theater, World War II. 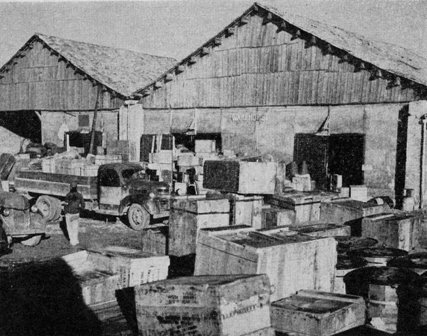 Air Depot in China showing freight received from India. Freight included even trucks, jeeps, and ambulances apart from guns and bombs. Special Frontier Force Reviews Hump Airlift Operation, China-Burma-India Theater, World War II. Hump Flight routes. Special Frontier Force Reviews Hump Airlift Operation, China-Burma-India Theater, World War II. Air Depot in China showing freight received from India. China also maintains memorials to the hundreds of American men who died flying the Hump to aid China during World War II…while at the same time opposing efforts to recover their remains (including the remains of my late uncle) from recently discovered crash sites ! What hypocrites the Chinese Communist bosses are ! Thanks for visiting my blog post. Sorry to hear about your late uncle. After 1911 Revolution that resulted in downfall of Manchu Empire, there was bitter political struggle in China. Following Japanese invasion, both Nationalists and Communists fought against Japanese. Soviets gave massive aid to Communists and apparently they used that assistance diligently and scored several victories over Japan. Whereas, Nationalists squandered US asistance due to rampant corruption. As you may know, US tried and failed to regulate Nationalists. By 1944, the US relations with Nationalists cooled off. In the Civil War, US supported Nationalists(Chiang Kai-Shek) to oppose Communist takeover of China. Hump flights were intended to strengthen Nationalists not only to oppose Japan but also to prevent Communist victory. The Pacific War ended on August 14, 1945. By August 1946, President Truman got disgusted with Nationalists, placed embargo on further shipment of US arms to China.You should not be surprised by Communist attitude towards Hump Airlift Operations.